Watching Simon Wincer’s 1996 The Phantom recently with some friends reminded me of just how much I have always loved this movie. 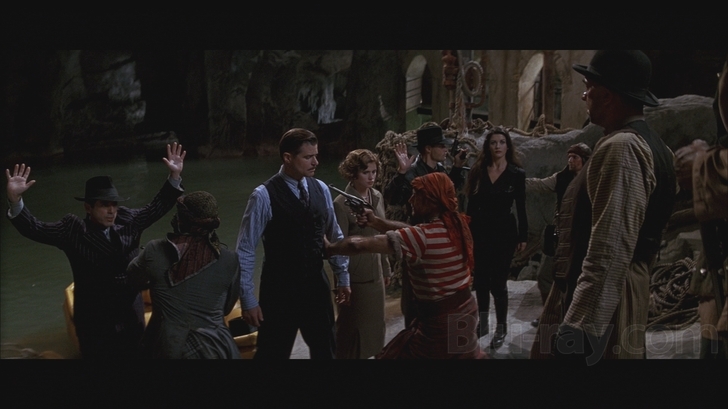 From the cool rope bridge action sequence at the beginning, to the cool performances of the entire supporting cast, to the cool Skull Cave where the Phantom hangs out, to the cool (and massive) grounded pirate ship set at the film’s climax, this movie delivers on its promise of swashbuckling action. it’s a little heartbreaking that this film was not a financial success. Roger Ebert called it one of the best-looking movies he had ever seen. 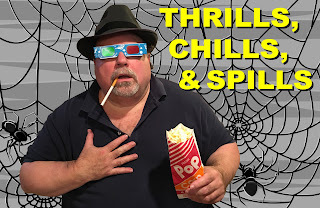 Were people afraid that Roger just hadn’t seen that many movies? 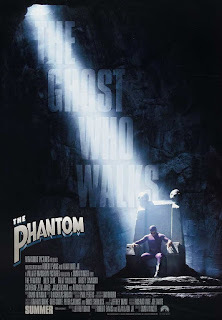 The Plot In Brief: After a rousing (and concise) introduction to the legend of The Phantom—aka “the ghost who walks”—we find ourselves in the jungle with Quill (James Remar) and a group of mercenary treasure hunters. They seek one of the legendary Skulls of Touganda for their boss, millionaire criminal Xander Drax (Treat Williams). 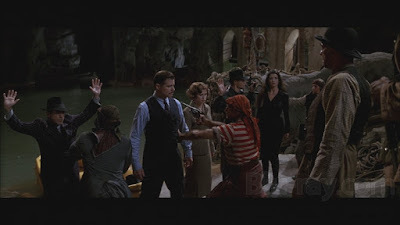 The Phantom (Billy Zane) arrives to thwart the plot, but the bad guys escape with the prized skull. Drax knows that if he can assemble all three of the ancient skulls in one place, his power will be unstoppable. Meanwhile, plucky Diana Palmer (Kristy Swanson) returns from Antarctica; her father is the owner of the World Tribune, which is about to publish an exposé on the Drax criminal empire. His reporters have traced Drax’s most recent activities to the Bengalla jungle, so Diana goes to investigate. Along the way, she meets evil aviatrix Sala (Catherine Zeta-Jones), Quill and his murderous thugs, Drax himself, the Phantom, and even legendary pirate Kabai Sengh (Cary-Hiroyuki Tagawa). Can the Phantom and Diana keep the three skulls from the sinister clutches of Xander Drax? There is so much to love in this film: its pace, its tone, and its spirit of adventure. I love how, between director Simon Wincer’s staging and shot composition and Billy Zane’s performance, the character of the Phantom never looks silly in his skin-tight purple leotard. That is an achievement. I love David Newman’s sometimes soaring, sometimes tense, always period-perfect score. 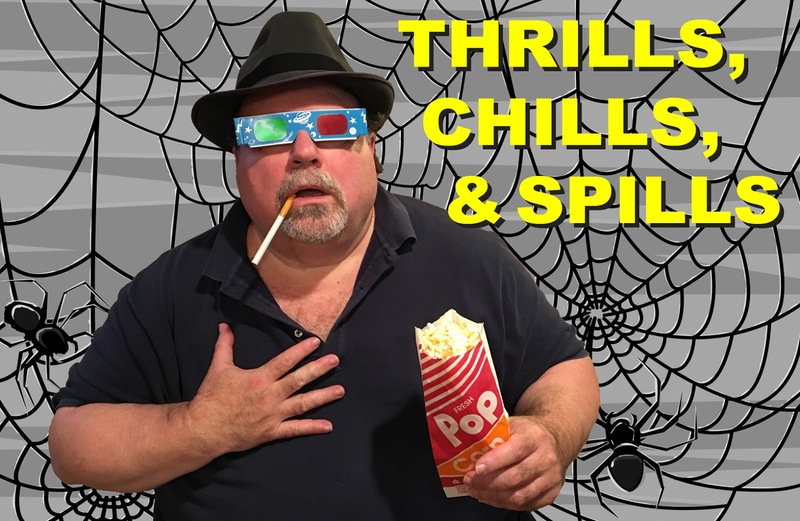 I am not a very musical person, and I was unfamiliar with Newman’s work, but I now discover that in his prolific career he also scored Critters, Heathers, both Bill & Ted movies, The War of the Roses, The Freshman, Bowfinger, Galaxy Quest, The Spirit, the most recent Tarzan and more than a hundred other films. Whew! So why was this film a “failure,” both critically (mostly) and financially (absolutely)? To solve that puzzle, I looked to see what was popular in 1996 and the answer is, pretty much any film that didn’t look, sound, or feel like The Phantom. The top ten box office films of 1996 were Independence Day, Twister, Mission: Impossible, Jerry Maguire, Ransom, 101 Dalmations, The Rock, The Nutty Professor, The Birdcage, and A Time To Kill. Notice there are no superheroes on this list, no comic book adaptations, no period films, and only four films that could be classified as “action adventure.” (On a side note, also notice that only three of the top ten films are remakes, and none of them are sequels. It was a different time.) If only The Phantom had starred Tom Cruise! If only Treat Williams had worn a fat suit or wanted to make a coat out of puppies! Speaking of Treat Williams, he gives the performance of the film. He seems to have the best handle on exactly what kind of film this is. Outsized but never hammy, Williams is the perfect comic strip villain, never winking at the camera, always invested in the film’s action, and full of oily menace. His work in The Phantom defines those actors who channel a “love of performance” in all they do. SPOILER ALERT: Back in 1996, I would have gladly gone to see a Xander Drax spin-off film. It is too bad that the character gets blown up—maybe we could get a prequel called Young Drax: Early Years of Villainy or Xander: Originz. Patrick Bromley has pointed out that this film “was released ten years too early.” I concur. The superhero juggernaut that really began with 2008’s Iron Man and continues to this day could have easily accommodated and boosted the box office figures for earlier superhero films that somehow never found an audience when they were first released—terrific films like The Rocketeer, The Shadow, The Phantom, and Mystery Men. The Phantom also stands as a huge middle finger to the scourge of CGI. Wincer and his crew actually filmed in California, Thailand, and Australia… on actual sets… with actual period cars and costumes… in actual jungles with actual animals and an actual sky. Sure, one can quibble about a few obvious process shots, but when the Phantom’s trusty wolf, Devil, summons the Phantom’s trusty steed, Hero, and leads him galloping through the jungle to the rescue, it’s an actual wolf and an actual horse in an actual jungle and the effect is nothing short of thrilling, actually. There are shots in the New York sequence that use forty or fifty vintage automobiles at one time on the city streets, and except for how clean everything looks, the viewer pauses to think that this might have been how it really looked to walk those streets back then, with a real sun reflecting off real cars on real pavement. This film takes even the mundane and makes it breathtaking… and isn’t that one definition of art? Just remember… there’s no smoking in the Skull Cave. Dante developed the script with screenwriter Jeffrey Boam. Dante claimed the filmmakers were unaware that some of it was tongue in cheek, so they had to cut some material after sneak preview audiences laughed. I haven't seen the movie, but I still remember how purple the advertising was at the time. I love this movie. I'm going to watch it right now.